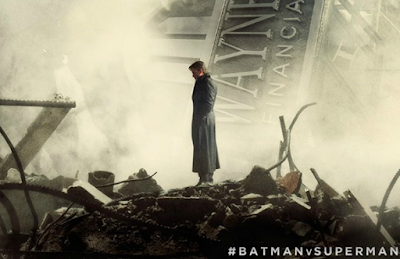 A new promo image shows Bruce Wayne standing amid the rubble of a Wayne Enterprises building - in what's likely to be the aftermath of the Superman / Zod battle in 2012's Man of Steel. If anything proves why Bruce is on a one man mission to take down Superman this picture does. Check out the photo below and let me know what you think.